Achievement in any sphere does not happen accidentally, it usually requires hard work, sustained effort and effective strategies. Exam success is no different. 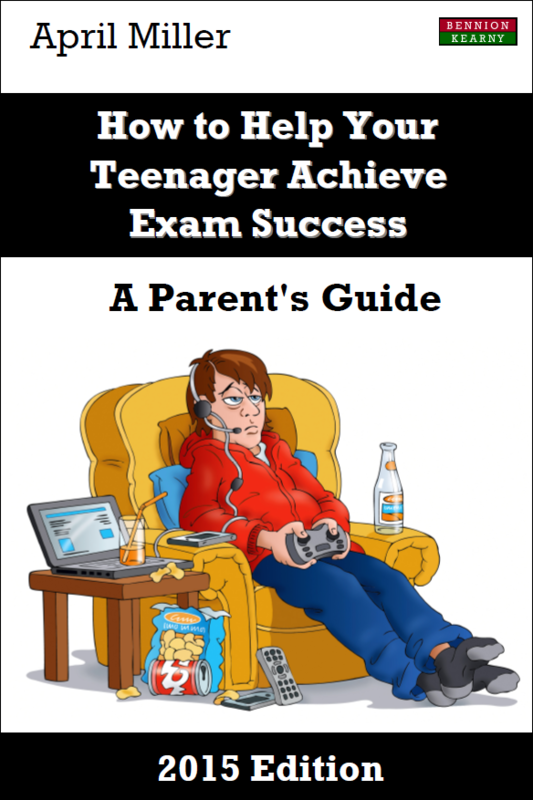 Written by an experienced A-Level teacher, this up-to-date, accessible – but most importantly concise – book offers practical advice for parents on how best to help their teenagers achieve exam success. Based on her time in the teaching profession and a wide number of educational studies, April Miller offers achievable and evidence-based advice on how to help your teenager fulfil their potential. As you read this book, you will learn how your teenager thinks and how to help them think in an academically successful way. Their thinking patterns are not the same as adults! – Discover how teenagers think and how they solve problems. – Learn how to revise together, effectively, and use your teenager’s natural sociability to help them achieve their potential. – Help steer your teenager to think academically. – Banish the ‘marathon mentality’ and enable your teenager to work more effectively. – Understand the impact of food, exercise and technology. – Promote independent thought and action. – Apply top class learning techniques to promote achievement. April Miller has been a teacher for more than 15 years and teaches Sociology to A level students. April has offered pastoral care to many young people, over this time, to help them study well and gain university places.